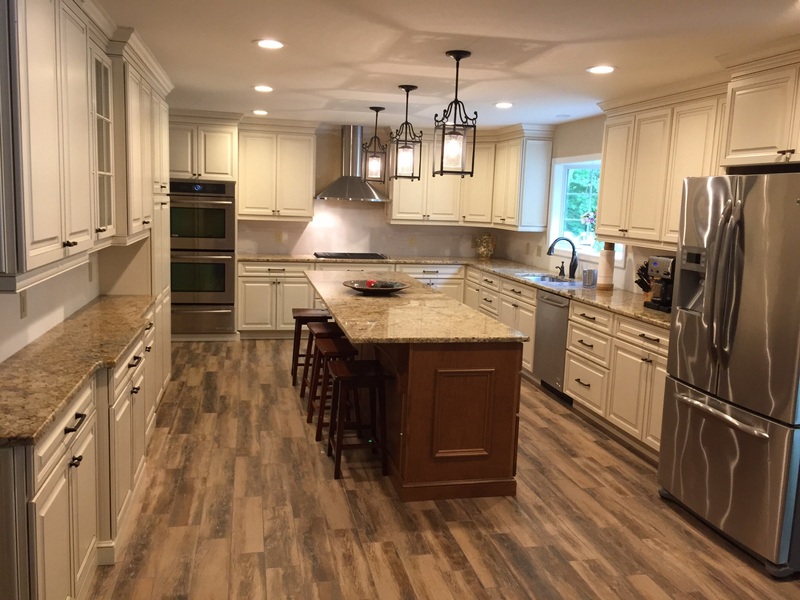 This kitchen renovation started with removing the dividing kitchen-dining room wall to open it up to one large functional kitchen. 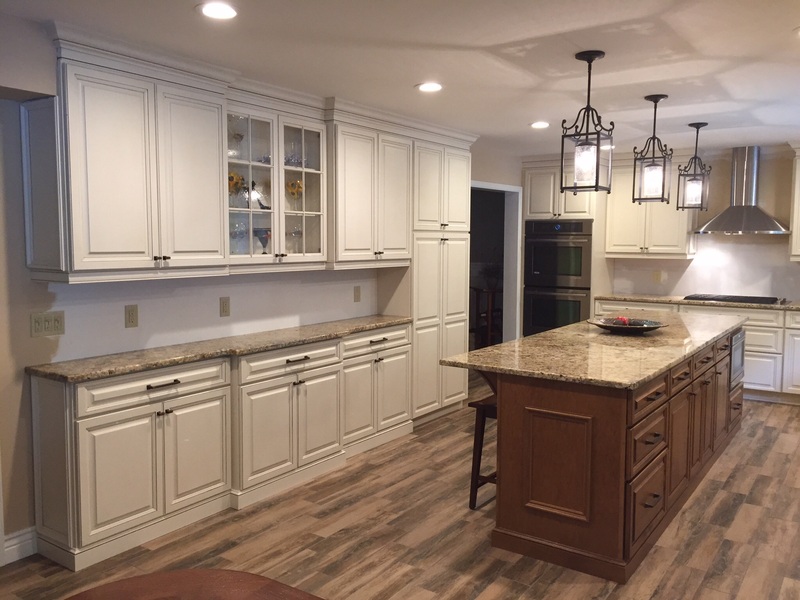 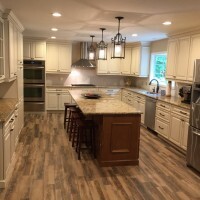 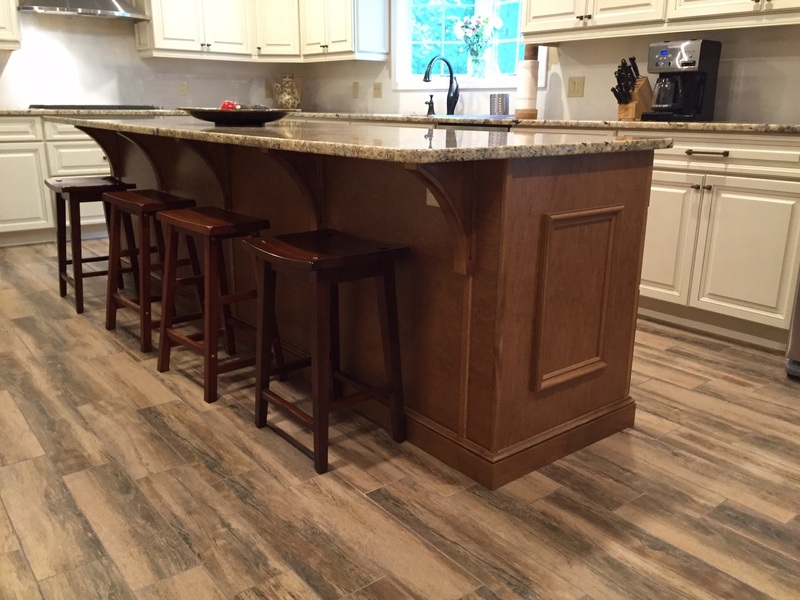 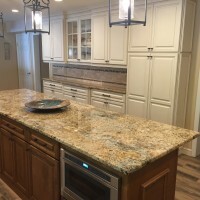 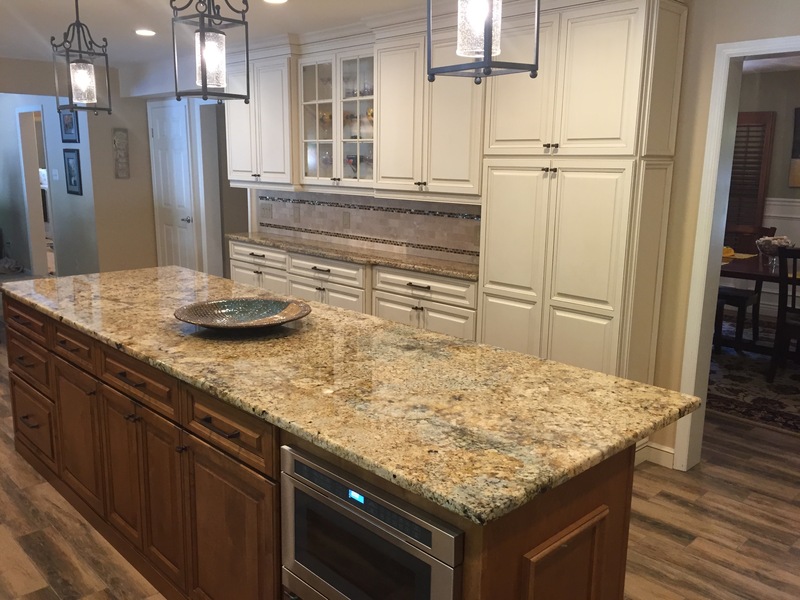 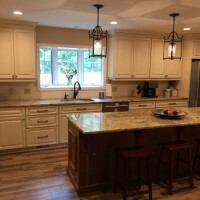 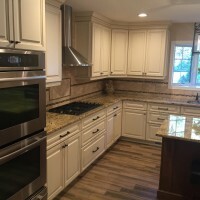 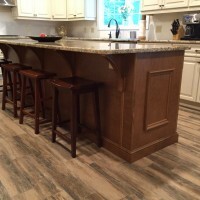 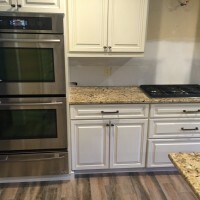 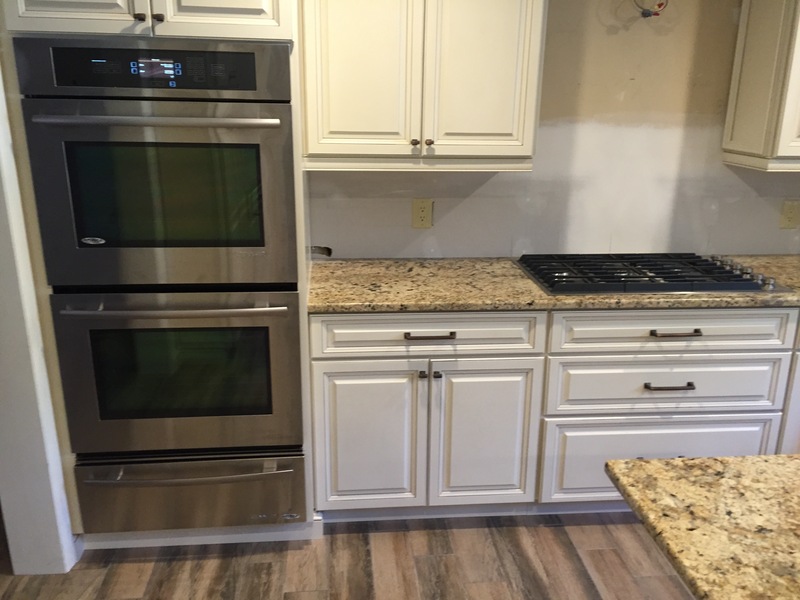 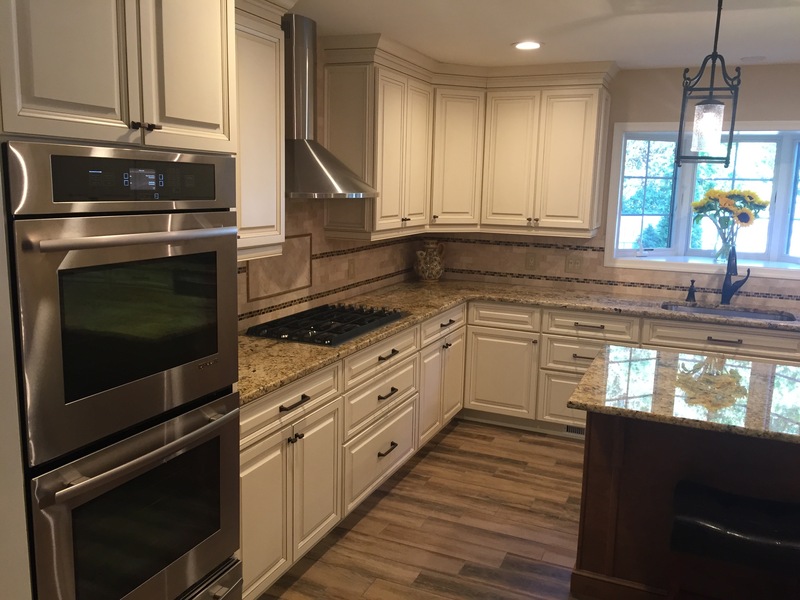 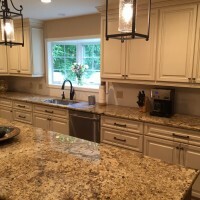 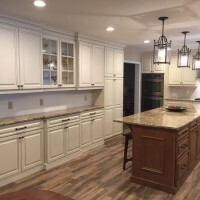 It got all new tile floor, sheetrock, paint, cabinets, bay window, lighting, under cabinet lighting, light rails, crown molding, center island, granite tops, ceramic back splash, and appliances. 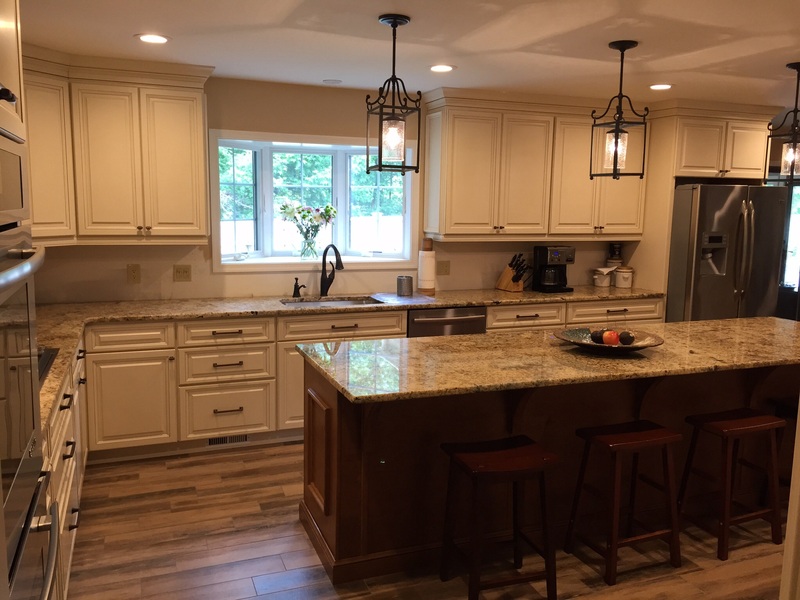 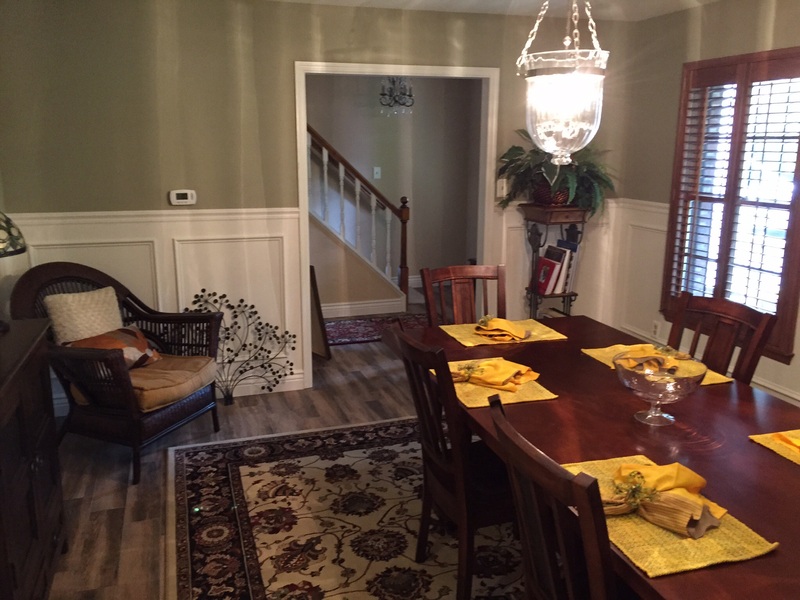 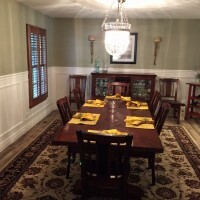 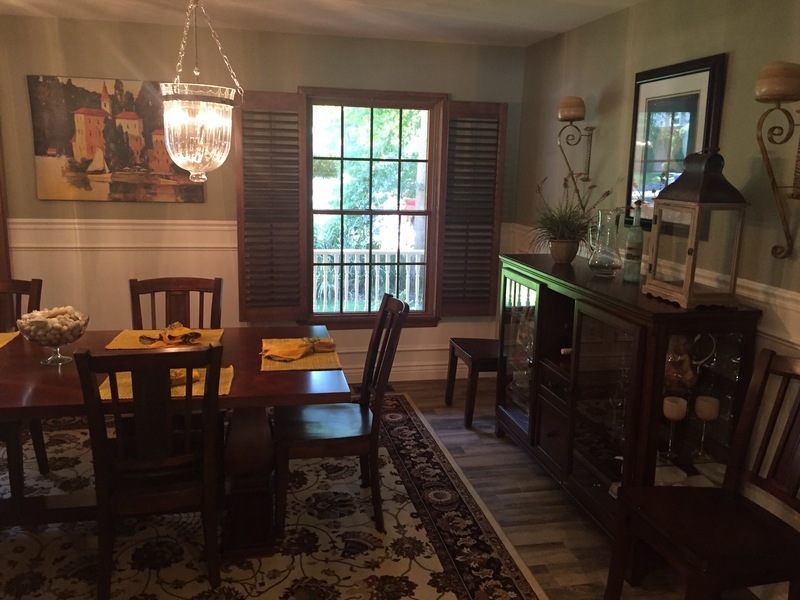 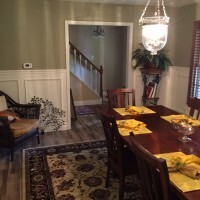 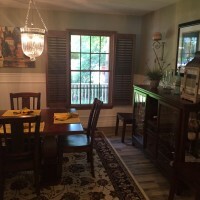 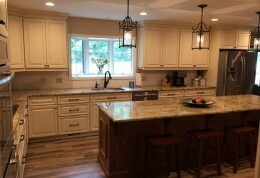 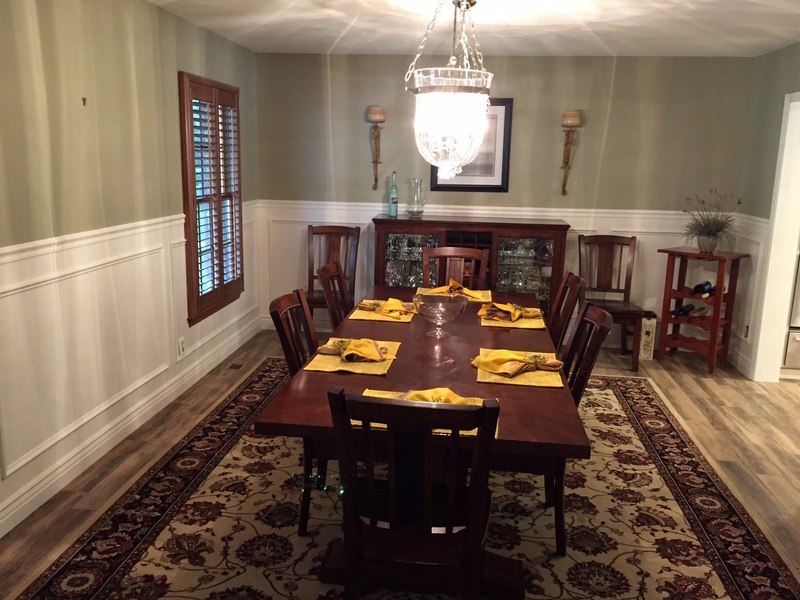 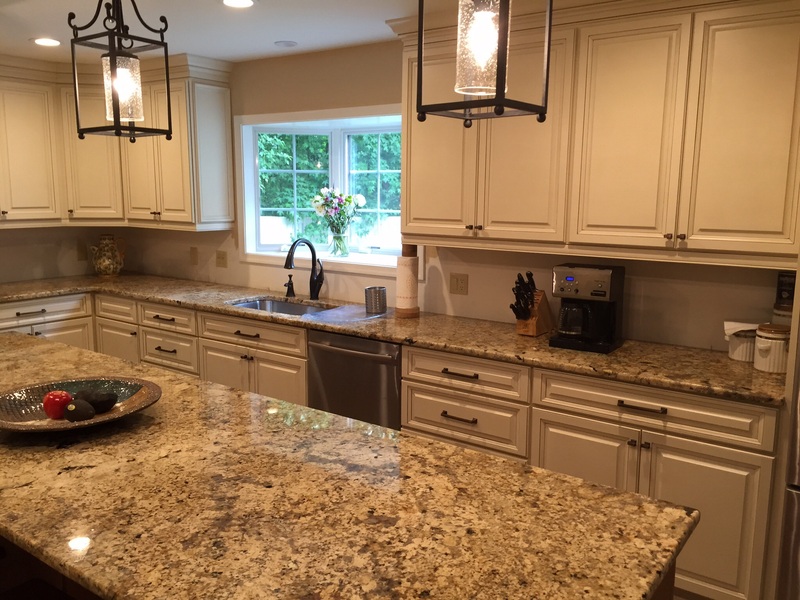 It then turned into a new trim package in the dining room including chair rail and shadow boxes, all new interior doors, complete new paint, carpets, laundry room, powder room, and exterior siding.